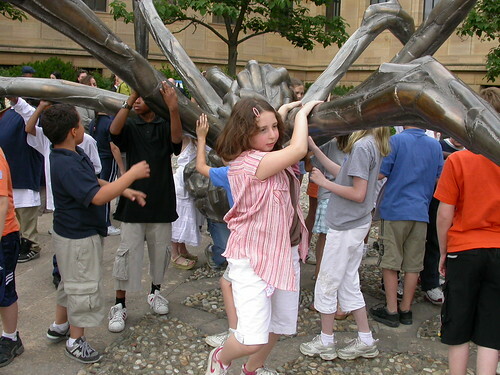 On flickr is a wonderful photo of Children on the sculpture Crouching Spider by the great artist, Louise Bourgeois. (It’s part of a fine photostream). What I love about this photo is that while the sculpture is almost monstrous by itself, with children hanging from it, it becomes something like a jungle gym. It transforms from a thing of horror to a thing of play and joy. Reading some interview of Bourgeois, the reason for her fondness for spiders comes through. And yet although she is fond of them, she sometimes portrays them in a way that seems to want to play on our fears of them. It’s as if she wants us to think about them positively and negatively at the same time. I also recalled a quote from her complaining about having children because of how it prevented her from doing her art. But in the interviews I found on the Web, the essays and interviews talk about her fondness of her children. I wonder what she would have thought of this photograph. I think she would have liked it. James Fallows over at The Atlantic has a good run down of why Barack Obama is such a formidable politician. Fallows smartly compares Obama to everyone from Clinton to Reagan to JFK. The thing is, he is all those things, but he is also something new. Someone others in the future will look back for comparisons. One thing that Fallows left out is this: his ability to make others wrongly underestimate him. This is something Reagan and Clinton had. It’s a ease they have, that allows their opponents to relax or overestimate their own strengths. It’s going to be an interesting eight years in American and world history. In the meantime, read James Fallows’s posting. It’s good. Amanda Jones is 109 years old. Her father was a slave. This U.S. election, she gets to vote for Barack Obama for president. My first response, on hearing someone say there has been a DoS attack on their site is: check again. Lots of problems could have occurred to affect your site. DoS is not usually the first probable cause. However, when two sites like this are affected like this, the probability of it go way up. And the timing, just as No on 8 is pushing for a big fundraising drive, make it even more likely (and more serious). I hope they catch who did it and the parties responsible go to jail for a signifigant period of time. DoS attacks may not be as dangerous as physical attacks on people or property, but what they are trying to achieve is the same. And what they are trying to achieve is removing people’s freedom of speech and association. It’s time for lawmakers and law enforcement to get serious about computer crimes like this. 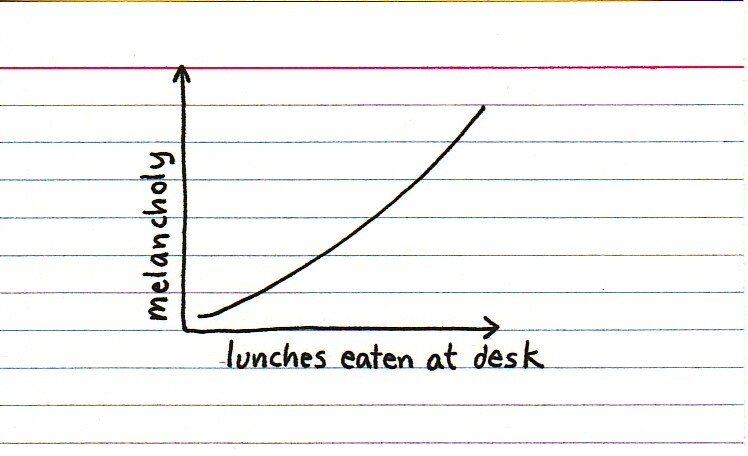 To all of you eating at your desks today….beware! Still, it is better to know than not. One misconception people should also know about is that store sliced meats are not necessarily safer than packaged meats. It appears many of these alerts are for packaged meats, but this alert also warns about “clerk-served sliced roast beef”.